Celebrate Spring and Earth Day all month long with “Yes to Trees”! 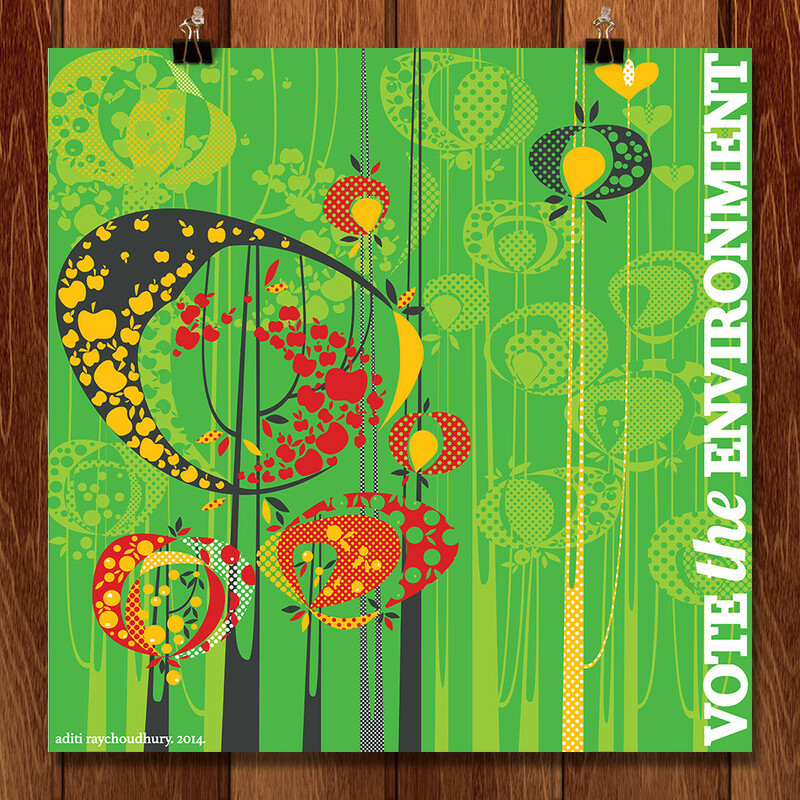 Support the environment while adding some fresh art to your home by purchasing this poster* I made for “Vote the Environment“- a campaign sponsored by Patagonia, the Creative Action Network and the Canary Project. It fits into a standard 12″ x 12″ or 16″ x 16″ frame, and can be purchased for as low as 22$. So, buy a poster,* spread the word, and, think about the planet when you vote to choose your candidate for the Presidency! * 30% of profits from sales will go towards supporting the project, 30% to HeadCount, a non-partisan organization that uses the power of music to register voters and promote participation in democracy, and 40% to me.